With high energy and solid vocals, Swamp Donkey stretches the “newgrass” concept to the limit and offers a unique sound in the process. What is “newgrass”, you might ask? Well...it’s something best experienced firsthand – it’s a fun, high-energy combination of the bluegrass vibe and renditions of rock and pop classics like Pink Floyd's “Time” and Michael Jackson's “Thriller”. 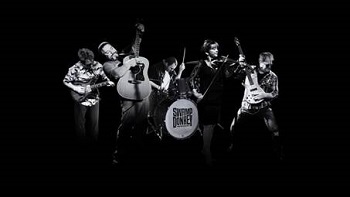 Known to deliver original tunes and unique covers that stretch across many genres, Swamp Donkey Newgrass is a talented band with a distinct sound and approach to making something more than your usual bluegrass!